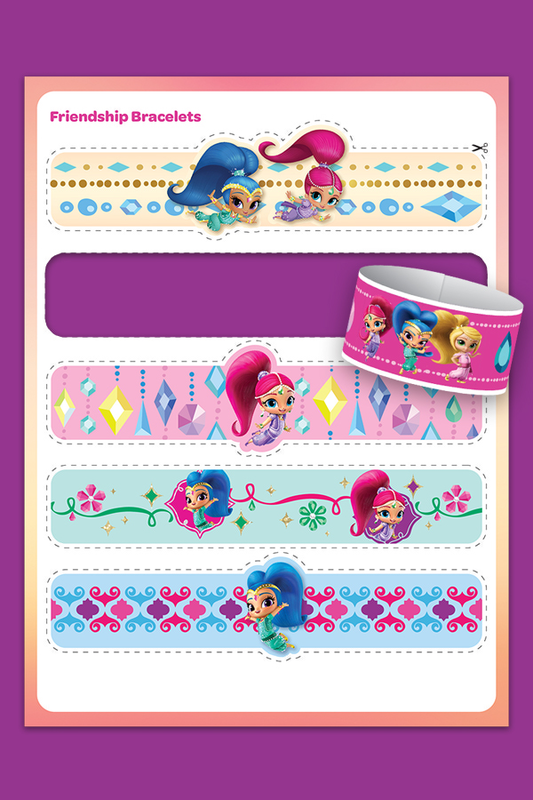 Preschoolers will love sharing these Shimmer and Shine friendship bracelets with their pals. Help them use safety scissors to cut along the dotted lines and then use tape or glue to attach each end together. Mix and match with friends for even more genie fun.